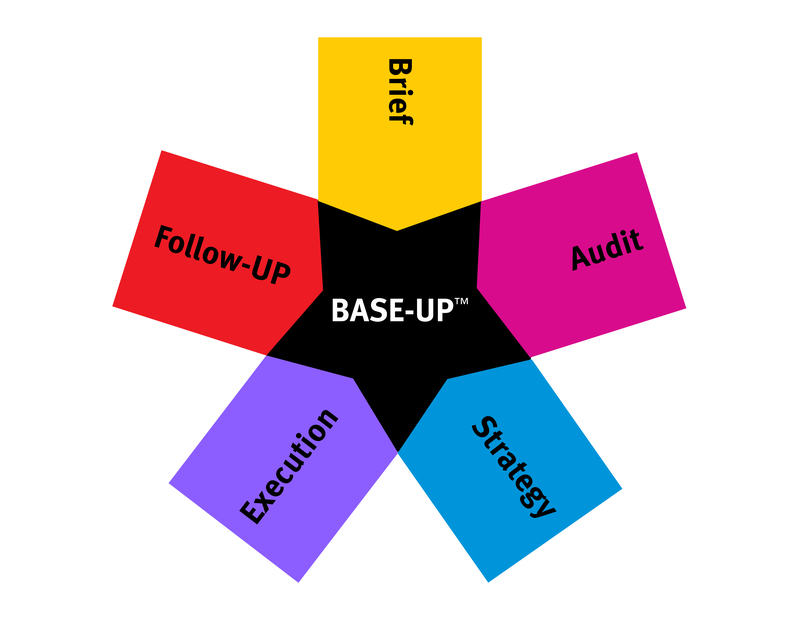 BASE-UP is the Brand Development Model devised to help structure new or existing brand strategy projects. The model is used by UP THERE, EVERYWHERE in helping plan client brand communications. This simple five step approach, has been successfully used for over 15 years.